The opening between Crane and Orcas Islands requires careful navigation, but is much less hazardous than using nearby Wasp Passage. The gap between the islands is narrow. Early settlers coined the name Pole Pass because Native Americans routinely stretched fish nets from poles on either side of the waterway to snare migratory waterfowl. There are rocks on either side of the pass itself, reducing the most prudently navigated area to a width of perhaps 150 feet. The pass is short, and it is customary for vessels to proceed through one at a time. 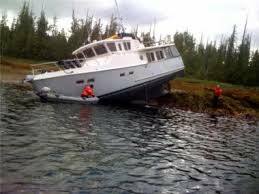 If there’s a boat in Pole Pass as you approach, throttling back just a little should allow the other vessel to clear before you arrive. 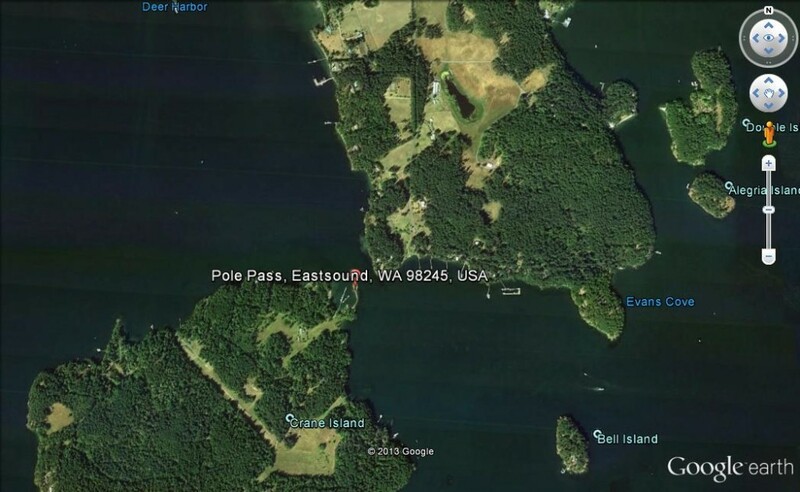 It is not unusual to encounter current in Pole Pass, but it doesn’t present a significant challenge for boats making a centerline passage through the gap. The hazards commonly associated with Pole Pass are found nearby, rather than in the pass itself. On the northwest side of the pass, shoal water and rocks abound along the north shore of Crane Island. Experienced northbound mariners continue a more northwesterly course for a half mile or more beyond the pass. Southbound boaters are better advised to “set up” for the pass when still well north and make a straight on approach, rather than follow the north side of Crane Island and make a last minute turn. To the southeast of Pole Pass, there is adequate depth for an approach running north of Bell Island, mindful of the red buoy across the channel to the north. Keep an eye on the sounder and the plotter in this area and it will not be difficult to stay out of harm’s way.